A Dutch designer named, Bruin Bergmeester created a walking bike for adults called, Lopifit which is seriously a treadmill over the bike. 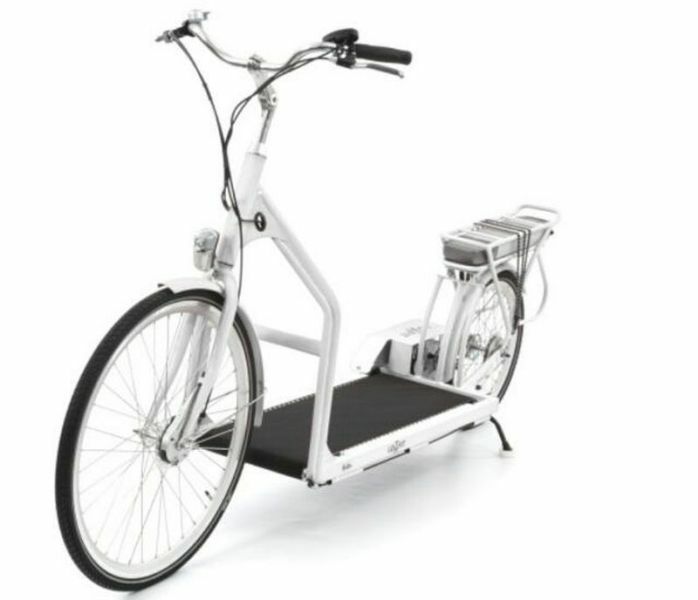 The bike comes with a Samsung Ion- Lithium battery of 350 W that rotates the treadmill while you are walking over it. 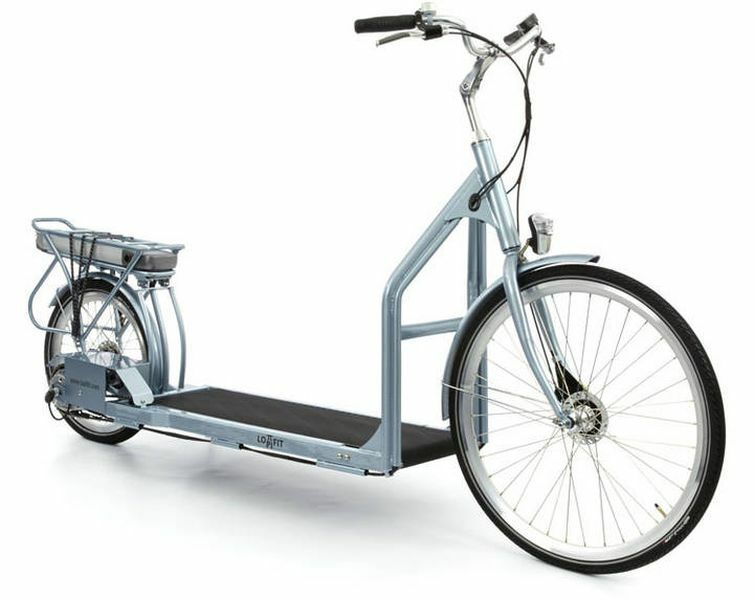 It is manufactured in Netherlands by using only the quality and branded components like Bafang, LG and Shimano. The bike has no seat and is totally a walking affair. This bike was invented by Bergmeester 4 years ago. Its distribution has begun in Caribbean, Mexico and U.S. While walking at a Lopifit, the treadmill bicycle has to be pushed backwards using your feet. A sensor will register the movements of this treadmill to give out signals to the electronic device which will activate the motor. The motor will allow a continuous walking motion. By using brakes, you can shut the motor off completely. For going downhill, activate the freewheel function. The battery packs as a push button which allows the Lopifit to start. It gets stopped by two handbrakes. The break at the left is used to stop the treadmill and the one on the right stops the motor and wheels. Lopifit comes with 6 suspension levels, a length of 2.3 meters and has LED lighting. The maximum capacity to lift loads is of 136 Kg. The walking part has a length of 90 cm. Like other regular bikes, it is the choice of the rider to choose the speed or gear they want, within a range of 4 to 17 miles in an hour. This means that the person riding a Lopifit has the same speed or sometimes a greater speed than what other riders have on the path. The bike has a striking design. There are a variety of colour options for the steel frame coated with a powder like army green, fire red engine, royal blue and black. The handlebar display shows the battery status and the back rack can be used for storage purposes. You may add up a lot more accessories and transform your bike so that it stands out unique in the crowd. A potential drawback of this Lopifit is its weight. It comes with a weight of 125 pounds. Also you cannot go backwards on this Lopifit. You may find a lopifit at various online shopping website. For a treadmill bike, Amazon provides various options to go for. Simply login to search Treadmill bike Amazon to grab the best deals. Why to prefer a treadmill over other walking bike for adults? Walking bike price is fixed at 2500$. This bike can be charged in just 4 hours and may go up to 34 miles in one charge. 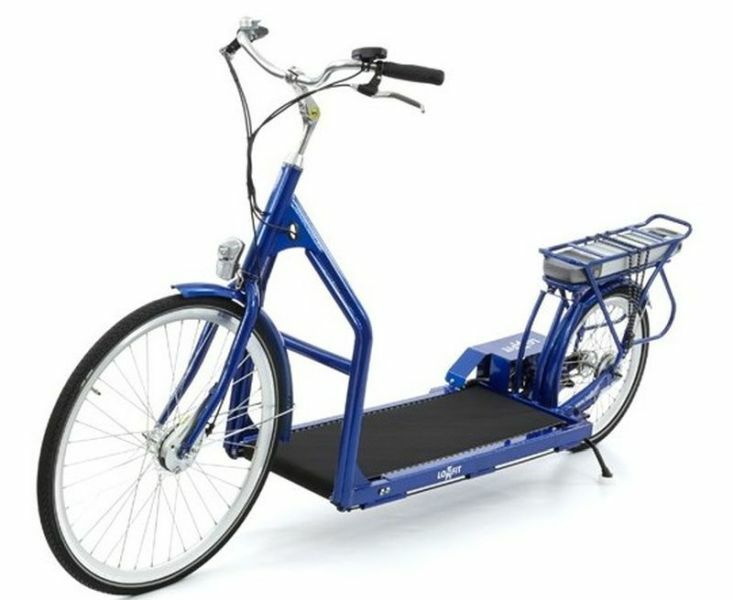 This innovative treadmill bicycle gives a totally new way of exercising and moving. It is viable option for local transportation. A lopifit also promotes fantastic exercise for lower physical impact and high calorie burning while you are riding the bike with breeze in hair and Sun over your face. Ride your Lopifit with full comfort and confidence as it comes backed up with a limited warranty of 2 years. 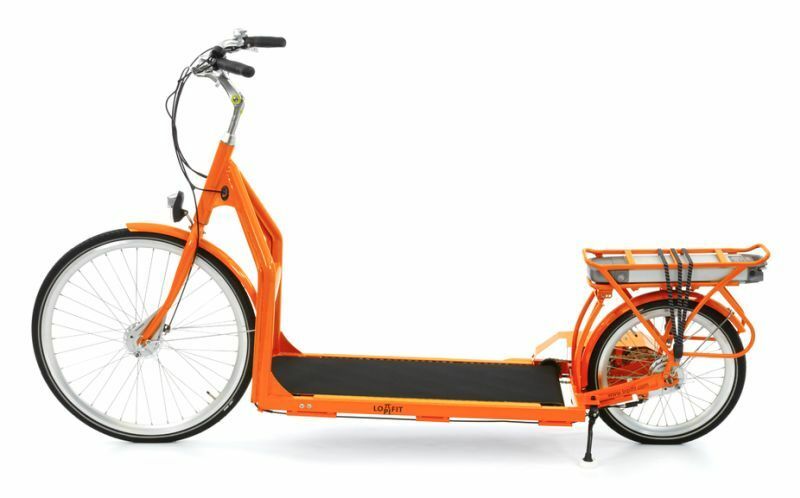 Economical: The newest Lopifit has lithium batteries of high capacity that gives a ride of 30- 50 miles in a single charge at a speed of 4- 17 miles in an hour. This makes it viable option for local transportation with great exercises too. Many cultures of the world have shown that there are just a few people liking cars and more people like such modes of communication that hardly rely on fossil fuels and are cost effective for individual and society at large. So use your Lopifit to reduce the emissions from fossil fuels. The walking bike price also lies within the budget. Full body movement: With Lopifit your full body sets up in motion. All your senses get alive while gliding on the road. You will achieve all the benefits of riding bicycle and walking with none of the impact on your neck, shoulders, lower back and knees. Eco- friendly: Lopifit is an eco- friendly option for both your body and environment. No carbon footprints are left by it and it basically eliminates all the damaging effects which you body may suffer by the use of other bicycles. Healthy heart: The best way to get a healthy heart is to have a low impact, high calorie and fat burring, high cardio exercise. You will get all three on them in your Lopifit bike.